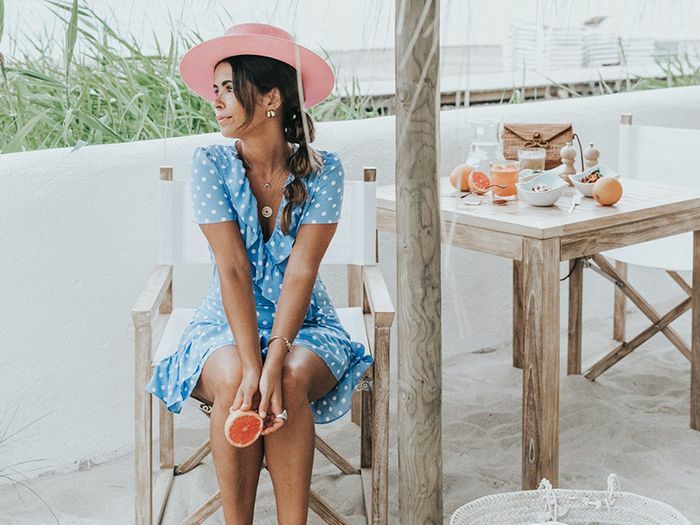 From fisherman's net bags to geometric earrings and athletic sneakers, this undoubtedly has been the summer where personal style reigns supreme. And though we love turning to our favorite A-listers for some fresh fashion inspiration, there's still nothing quite like the wealth of style creativity that comes from, you, our readers. In order to celebrate just that, we're looking to you guys to give us the tips and tricks to elevate our end-of-summer outfits. Want to get your outfits on our radar? Use #WhoWhatWearing on IG to show us your looks for a chance to be featured here. Keep scrolling to see the summer outfit ideas that stopped us in our feed. rosewater pistachio crepes + this view ???? When a white shirt is this nice, you've got to show it from every angle ???? We want to see your summer style! Show us your looks by using #WhoWhatWearing on IG, and shop the summer essentials our editors are buying now.